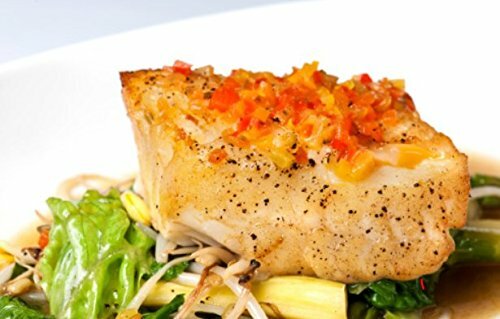 Order sweet, mild tasting Halibut online and enjoy delicious Halibut steaks in the comfort of your own home. 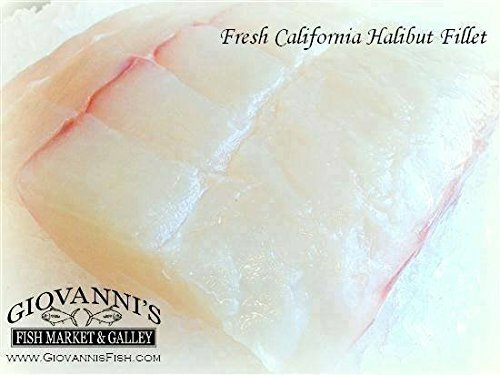 Fresh and fresh-frozen Halibut is available year round for purchase. Considered by many to be the finest eating fish in the world, Alaskan Halibut is widely sought after for its firm, pearly white meat that makes for an unforgettable meal, any time and any way you prepare it. Caught wild and fresh in the Gulf of Alaska, our Halibut fillets are skinless, boneless and vary in size from 3/4lb-1.5lb packages. Perfect for your grill, deep fryer, or skillet. All of our Halibut is hand trimmed, packaged in clear vacuum sealed bags and flash frozen to preserve freshness. What a Treat From our Local Fishermen! These snow white translucent fillets are incredibly mild, Firm enough to B-B-Q-, but sweet and succulent enough to make amazing Sashimi. This is as Fresh as it gets. Wild caught, product of California. The largest flatfish in the sea, halibut are individually caught by hook and line along the continental shelf of the Pacific Northwest at icy cold depths of 900' or more. The result is a lean, light whitefish with sweet, delicate flavor, perfectly firm texture and pure snow-white flesh. 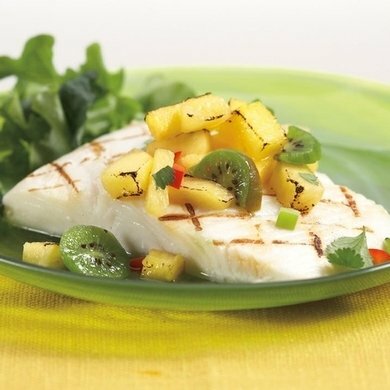 halibut will hold its shape and texture whether baked, broiled, grilled, poached or steamed, and its flavor works equally well with bold sauces or simple spritz of lemon. Ships On Ice - refrigerate or freeze upon arrival. Shipped via 2 Day Air Express in a reusable cooler. Shipments on ice are sent Monday, Tuesday, and Wednesday only unless upgraded. Please note: due to the perishable nature of this product, we cannot ship to Cannot ship to PO Boxes APO address. Please provide a physical address when ordering this product. Fillets will keep in the freezer for approximately 3-4 months; once thawed they should be cooked and used within 1-2 days.